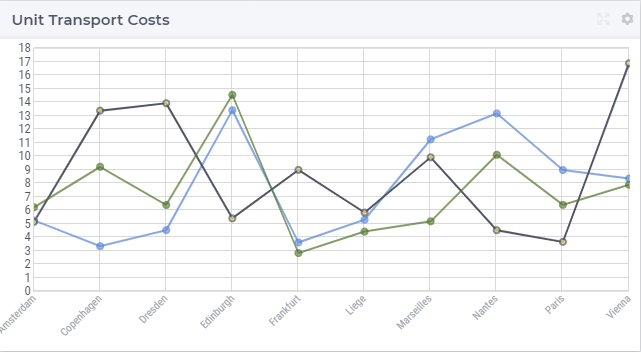 More generally, a line chart widget offers the possibility to display multi-dimensional data in your model by displaying a dot for each data point in the X/Y-plane. The Y-coordinate of a dot provides information about the value of the corresponding data point. The dots may be linked by lines in between rendering the graph. 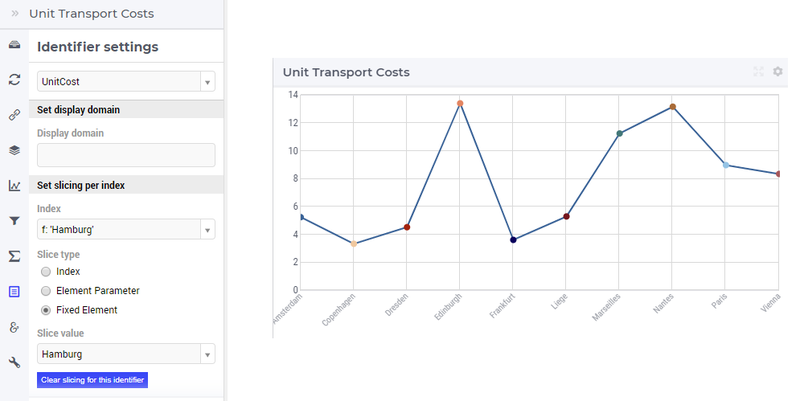 For example, in the TransNet application, the unit transport costs for every combination (factory, center) may be represented using a line chart widget like illustrated in more details in the sequel. More specifically, we discuss and illustrate below one-by-one the tabs in the line chart’s options editor which may be accessed through the Settings wheel as shown in the picture above. So, now for every factory f there is a line in the chart with a different color. The three lines are drawn independent of each other. Again, for every factory f there is a line in the chart with a different color, but the three lines are now drawn on the top of each other. However, in this case the store focus cannot be applied, because such a selection does not determine a unique pair of values for the element parameters (SelectedFactory, SelectedCenter). Again, as a remark: a selected line may be unselected by clicking again on it. 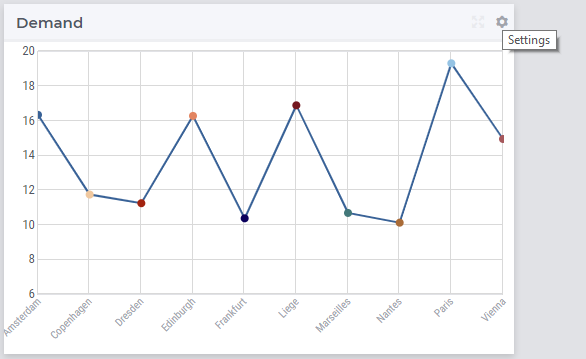 In the Line Chart widget the Hover and Select visual functionalities are available. However, when selecting a line, the line itself does not set any store focus elements as this cannot be uniquely determined. Only the nodes selections can set such store focus identifiers. 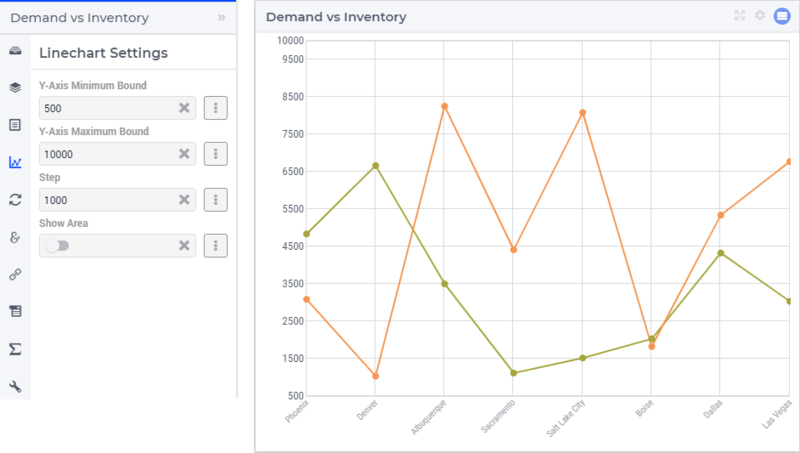 In the Miscellaneous tab of the line chart’s options editor, other options may be set such as the title of the widget, whether or not the widget is visible (this may be determined by a model parameter) or the number of decimals for the values displayed in the chart.